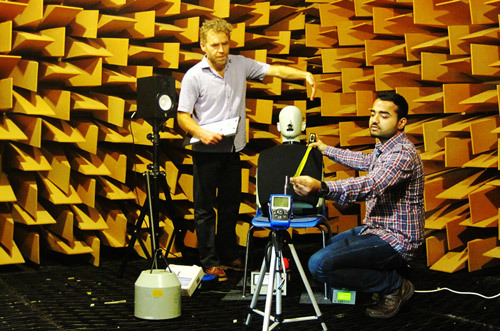 At London South Bank University we use the XL2 for a wide variety of applications, including research, consultancy, training and teaching on our Institute of Acoustics Diploma and Masters' courses. Lately our XL2 has been busy in various research projects involving speech intelligibility and RT measurements (e.g. school acoustics, underground VA systems, conference halls). This spring our XL2 will be allocated as a key diagnosis and monitoring tool to a refrigeration noise control project. We also frequently use the Projector function to demonstrate concepts to students during lectures and laboratory experiments. In my previous company we evaluated the real-time analyzer market and selected the Acoustilyzer. It proved its worth on-site as a cost-effective, robust and reliable device. Then the XL2 came with its many new features and improved ergonomics impressing everyone. 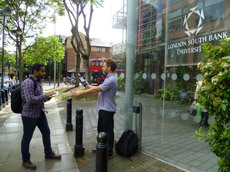 When I joined LSBU I recommended the purchase of XL2 units for its outstanding user-friendliness, versatility, reliability all for a very reasonable price. Since our XL2 was introduced in our faculty it has become the “instinctive” preferred choice among our other analyzers by academics, researchers and students. I find the XL2 large screen size very useful in field applications involving FFT and 1/3 octaves monitoring. The fact that the whole microphone unit can be detached leaving the meter ready for widely-used XLR input, makes the main unit very flexible. I also find the user interface, featuring the scrolling wheel, a great intuitive idea simplifying the traditional confusing multi levels menus. The integrated and rechargeable battery pack is another convenient feature allowing us to concentrate on the measurement rather than on spare batteries. I have used and still use hand-held sound analyzers from leading brands. I find the XL2 overall operation more user-friendly (leading to less human errors and quicker measurements), of comparable performance and reliability compare to other leading brands of analyzer. Most importantly these days, XL2 is priced much more reasonably than other leading analyzers for the same noise measurement capabilities. The good and prompt customer service provided by the supplier (UK), and directly by the manufacturer, gives reassurance that there is care and attention behind every XL2 purchase. The NTi Audio website is a helpful point of reference for users. It provides the necessary and useful information to maximize the use of the instrument. Likewise I find the XL2 manual and tech fact sheets useful and clear.